Match the luxury and style of your holiday in the Greek Isles by renting a private jet to Santorini, a volcanic island in the Greek Isles famous for incredible beaches, picturesque sunsets, dramatic views, and a sublime climate. Flying private to Santorini Airport is the most convenient, comfortable, and secure way to arrive in the Greek Isles, and our team offers the most comprehensive jet charter services, including private charter flights, aircraft sales/acquisitions, private jet management, jet card memberships and more. Air Charter Advisors arranges on-demand air charter service to/from Santorini and surrounding areas of Greece, complete with competitive rates, veteran pilots, luxury concierge services and the highest safety & service levels in private aviation for all domestic and international routes. When searching for a company to arrange your private flight to Santorini, it can be hard to distinguish companies whose standards are in-line with yours from those with little, or none at all. Many brokers run their business with a website, phone number and fax machine, and don’t put in the necessary work and due diligence before placing clients in a plane with poor maintenance records & performance history. Our team is committed to arranging private flights that go above and beyond our competitors, something we’ve shown by becoming Wyvern-certified. Our brokers utilize third-party reports to ensure all of the planes and pilots we work with meet our strict safety & performance standards, and we never cut costs by lowering them. Clients book with ACA when they want the best of the best. We deliver. That doesn’t mean we can be cost effective as well – we’ve built have relationship with operators around the globe and utilize exclusive marketing agreements to offer the most competitive rates on every flight, including empty leg charter flights, one-way routing, multi-leg trips and more. Our brokers are available to you 24 hours a day for all your aviation needs, and can arrange luxury concierge service to complement your flight, including helicopter flights, yacht charters, in-flight catering and more. Enjoy peace of mind when booking with ACA, and we’ll become your total solution for luxury air travel, airplane acquisition and private jet management. Request a quote now, or give us a call at 1-888-987-5387 to book your charter flight to Santorini, Greece. Private jet travelers can charter a flight to Santorini National Airport (JTR), the island’s only airport located on the eastern coast just north of Kamari. It’s one of the few Cyclades Island with a major airport, and it’s runway is large enough to accommodate Boeing 757’s, Boeing 737’s, and the Airbus 320 series. Santorini was named during the 13th century in reference to Saint Irene, an old cathedral in the town of Perissa. Located between the islands of Ios and Anafi, the island is a major Mediterranean cruise destination, home to a number of towns & villages beloved by artists, celebrities, and globetrotters alike, and teeming with tourists during the summer months. Fira (also known as Thera or Thira); the main town of Santorini located on the caldera, home to stunning views and a museum featuring Neolithic and Bronze Age artifacts. Its central location and array of luxury hotels make it a good base for private jet travelers. Oia (or Ia) is a picturesque, post-card worthy town perched atop Santorini’s crescent-shaped caldera, home to an array of fine dining opportunities while you take in incredible sunsets over Ammoudi bay. 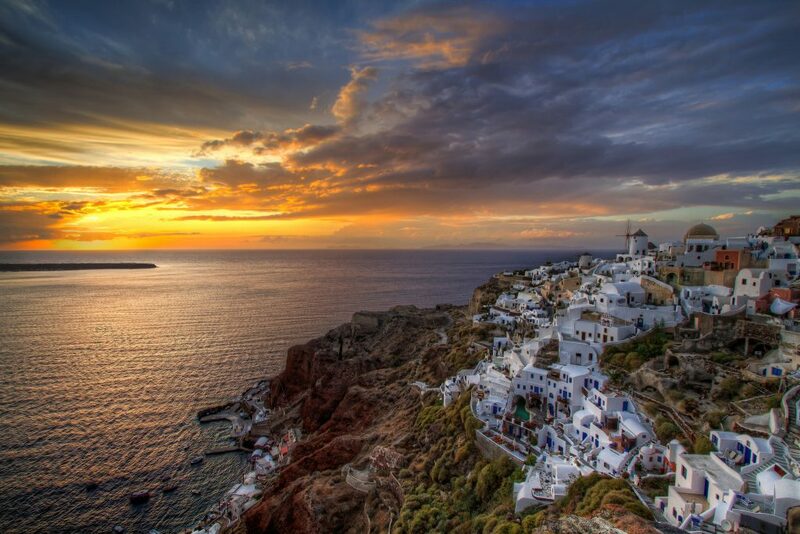 Catch a sunrise the following morning in Kamari; this seaside village is located on Santorini’s southeast side and situated directly beneath ancient Thira, featuring a long black sand beach and an array of bars, cafes and clubs. Perissa is neighbored just to the south, continuing the stretch of black sand beaches, and offering fewer crowds. A great time for luxury travelers with visit is between the months of April – June and September – October, book-ending the busiest tourism period with warm temperatures, clear skies, and calmer crowds. Air Charter Advisors provides access to the following aircraft makes/models when arranging private charter flights to Santorini and other areas of Greece and Southeastern Europe. All of the planes we arrange are operated by FAR Part 135 or 121 (or foreign equivalent) air carriers, using two pilots with a wealth of experience in the make/model you’re renting. One-way flights to/from the island are common, and transient planes may create an opportunity to reduce your cost by using an empty leg private jet. Discuss the goals of your trip with one of our advisors, and they’ll present aircraft options that best suit your needs. If you don’t see your preferred aircraft type listed below, let us know and we’ll try to locate one for you. 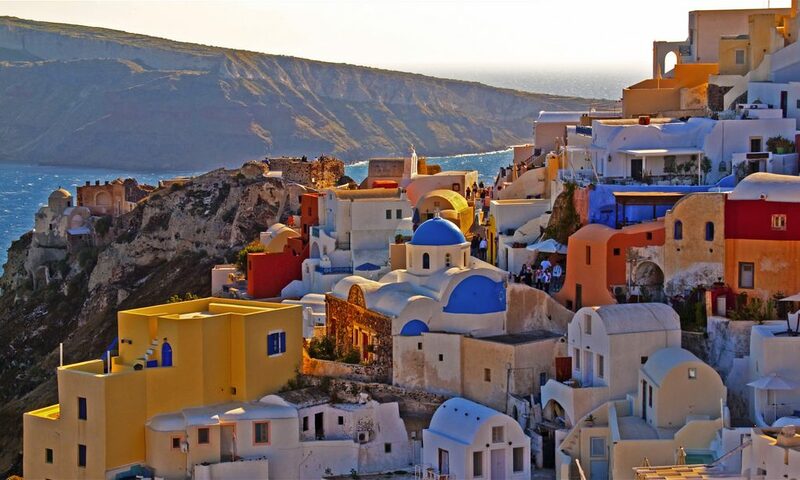 Request a Quote or give us a call at 1-888-987-5387 to speak with one of our brokers for your next flight to Santorini and surrounding Greek Isles. 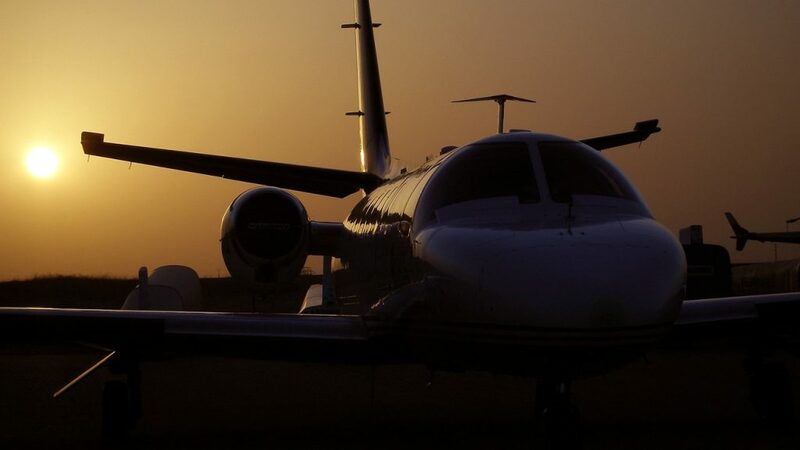 Our quick response times, hassle-free booking process and 24 hour on-demand charter service can get you in the air in as little as 4 hours, and our competitive rates mean you can enjoy the highest service levels in private aviation without sacrificing quality, comfort, or safety.